Material – Polymer blue case, sleek lightweight design, with flip-up display panel. Requires 9-volt battery not included. 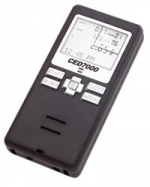 The CED M2 Chronograph is a state-of-the-art chrono at a competitive price. It has been used at numerous World and National Championship shooting tournaments since its introduction. It will record velocities from 50 fps to 7,000 fps, and can store over 1,000 velocities in its memory. 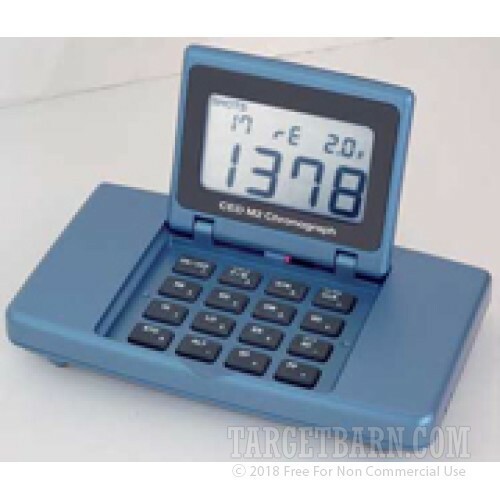 Some other features include: built-in calculator with IPSC/IDPA Power Factor function, high, low, and average velocity readings, extreme spread and standard deviation readings, and USB interface to download data to your personal computer. Also available is an optional Infrared Upgrade Kit which allows you to use the chrono in low light situations, or even indoors. Don’t forget to order popular accessories like a Chronograph Tripod, Custom Carry Case, replacement Sensors and Skyscreen Sets, and the NiMH Rechargeable Battery Pack when no AC power is available.